The best way to visit the Sistine Chapel is early in the morning. 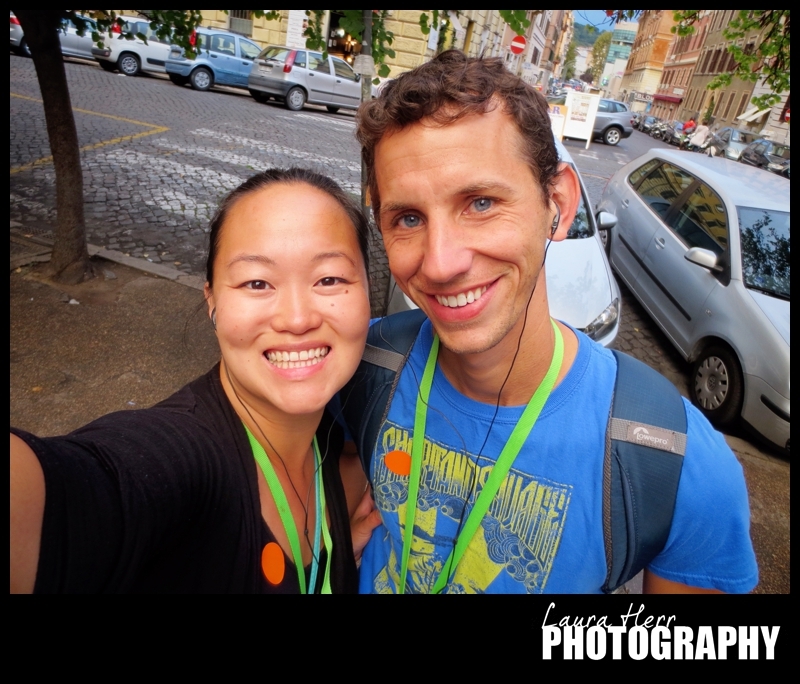 On our second full day in Rome, we woke up early and took a beautiful walk over to the Vatican. 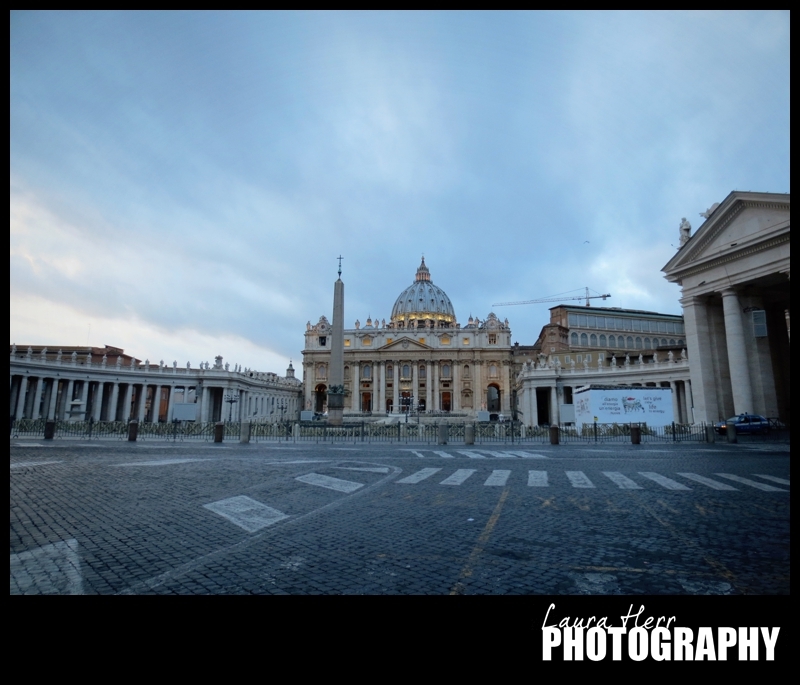 The streets were quiet and peaceful and watching the sun slowly rise on St. Peter’s Basillica was an incredible and beautiful sight to see. 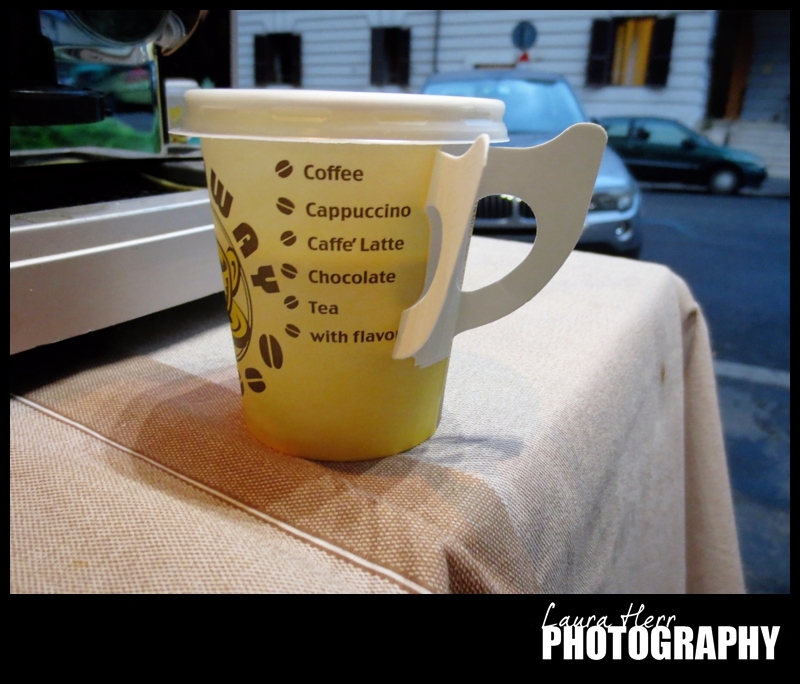 We stopped by a little restaurant to pick up a few croissants, a bottle of water and an espresso for Jeremy. 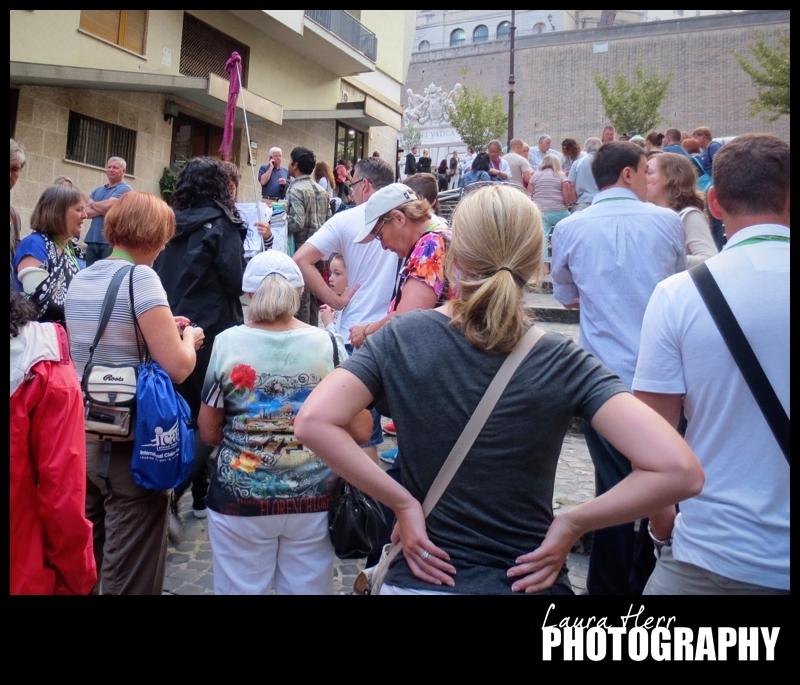 Then we walked over to join our tour group. We signed up for a simple tour that would let us skip the lines and get in a good fifteen minutes before the crowds. It would turn out to be the best money we could have spent to be able to fully enjoy and take in the chapel. 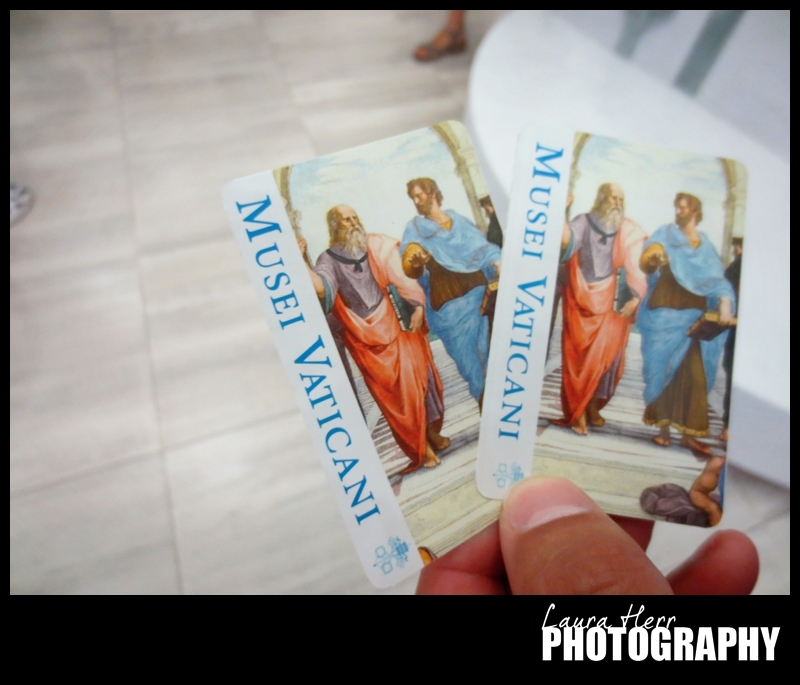 Even though I’m not Catholic, I’m a huge fan of the Vatican Museum. For me, it’s such a special place to enjoy incredible works of religious art. I think that I enjoyed it every bit as much this time, as I did the last time that we visited. 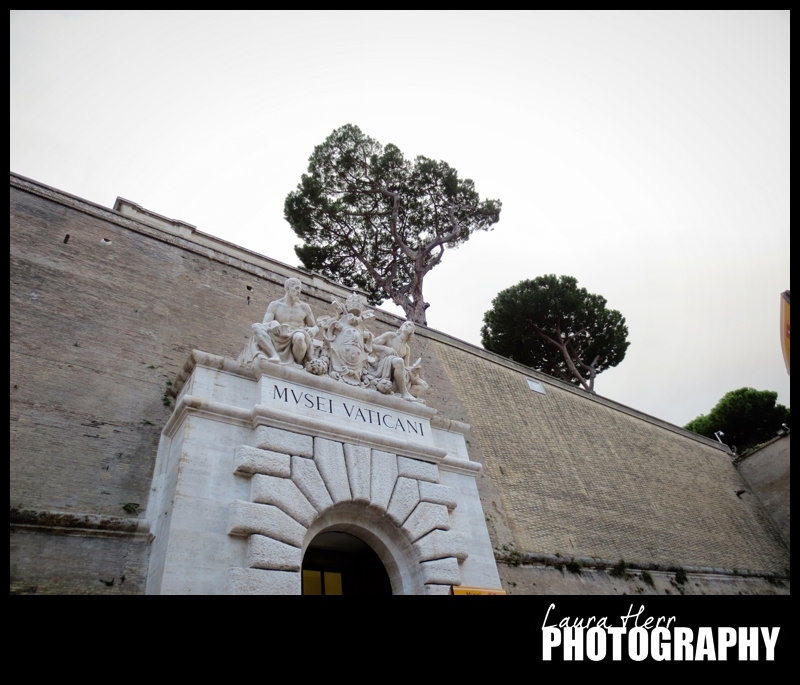 Before entering the Sistine Chapel, we walked through the many halls of the Vatican Museum. 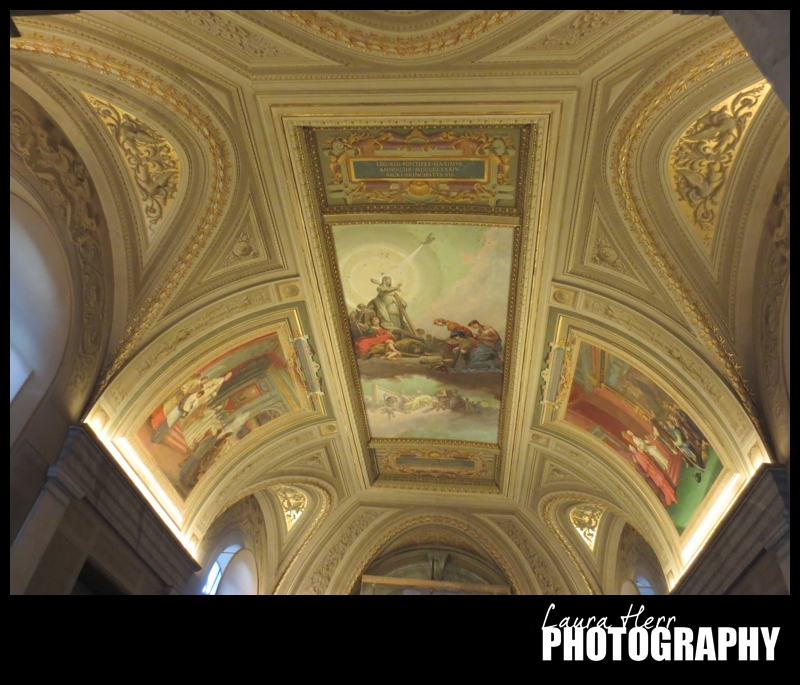 Stunning works of religious art graced every wall and ceiling. It’s always a wonder to me to think that at a time in history, so many paintings and sculptures were dedicated to Jesus and the Bible and the church. This was part of my favorite hall ceiling. It looks like it’s sculptured, but it’s actually an illusion painting. 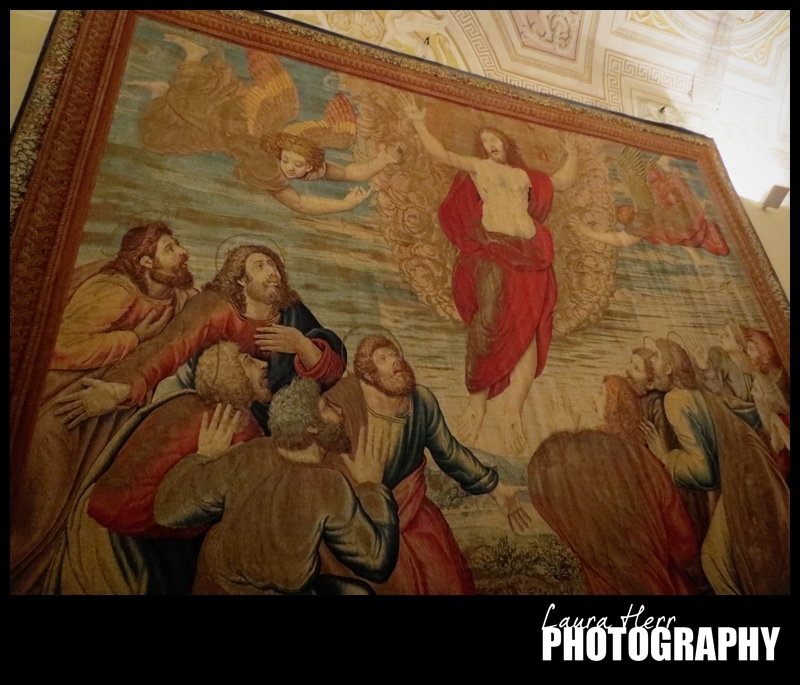 I was also in awe of the huge tapestries that hang in the gallery of tapestries. It’s just another incredible form of art and they are always incredible to look at. 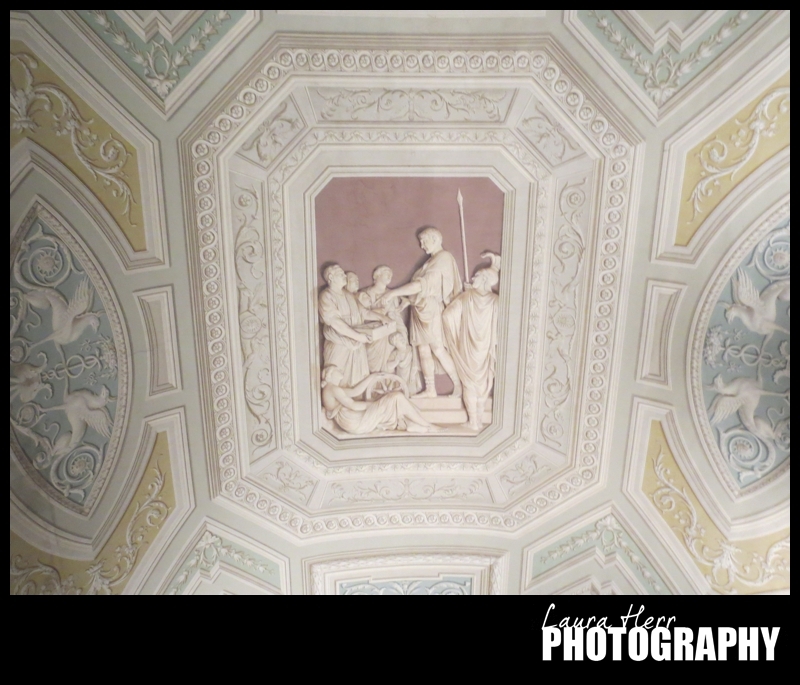 When we finally reached the Sistine Chapel, we were greeted by a beautiful scene. The last time we visited it, it was crowded and loud, with people talking and security guards doing their best to shush them. It was mostly just noisy chaos. But this time, was completely different. There were far less people, and it was easy to stand or sit and take in the beauty all around. Since there were fewer people, there was naturally less noise as well. It was peaceful and serene and quite stunning. Michaelangelo did the majority of the work on the ceiling and the main wall, and his work was surrounded by many other beautiful paintings, depicting other Biblical stories and characters. Unfortunately, cameras are not allowed in the chapel, so I didn’t get any pictures, but I doubt they would have been able to capture the beauty of the paintings. 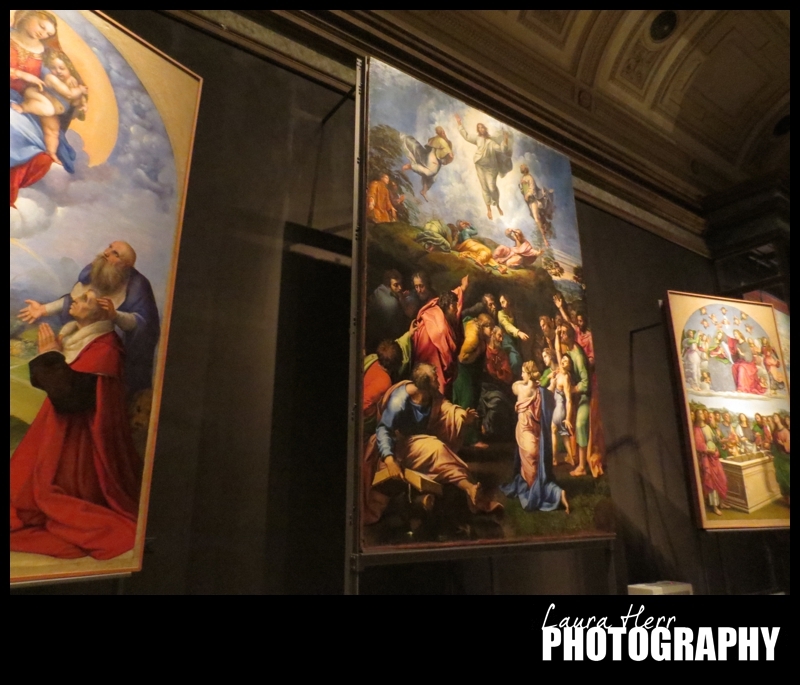 After touring the Sistine Chapel, our official tour was complete and we were free to enjoy the rest of the museum. We walked through various halls and enjoyed a variety of works of art. One of our favorites, was three pieces of art by Raphael. I was excited to know who he was and I have to admit, I have my upbringing in the the 80s and the Teenage Mutant Ninja Turtles to thank for knowing the names of the four main renaissance artists of Italy. The museum definitely started to fill up quickly as the morning passed by. 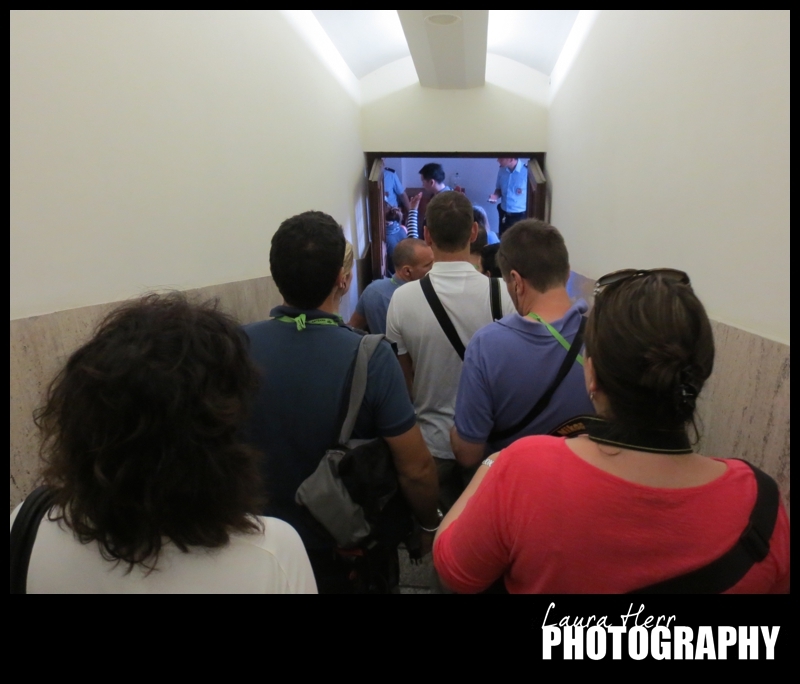 Which brings me to mention, if you are claustrophobic, the Vatican Museum is probably not for you. Seas of people flooded most every hallway and it was slow going at times because of the crowds too. 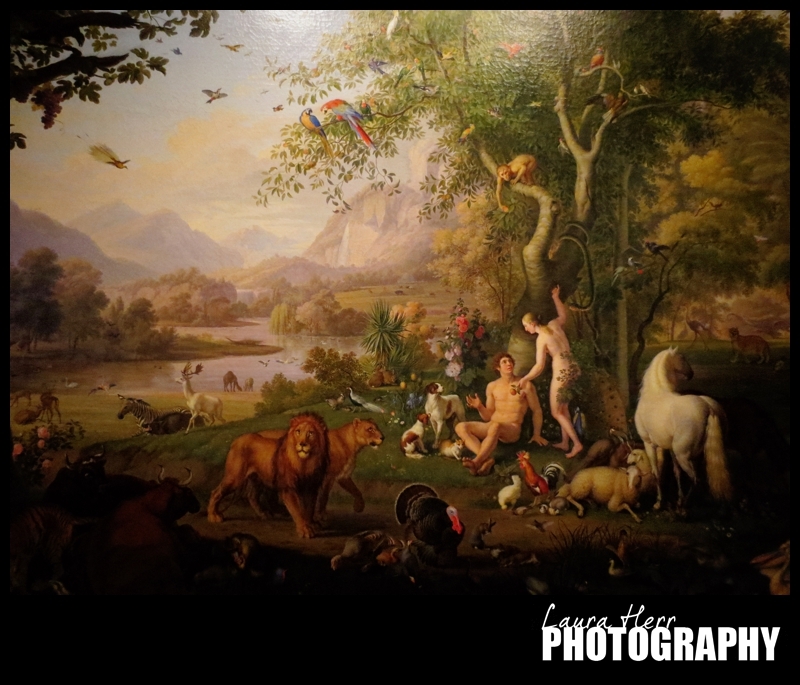 After spending a few hours in the museum, we started to walk out, when we found this painting of the Garden of Eden. It was incredible. And all I could think was how Adam and Eve were surrounded by Paradise, and all they chose to want was the one thing God told them they couldn’t have. It was a beautiful epiphany, because I know that I often do this in life too. I’m surrounded by amazing things, but discontentment causes me to dwell on the few things that I don’t have. It was a teachable moment. 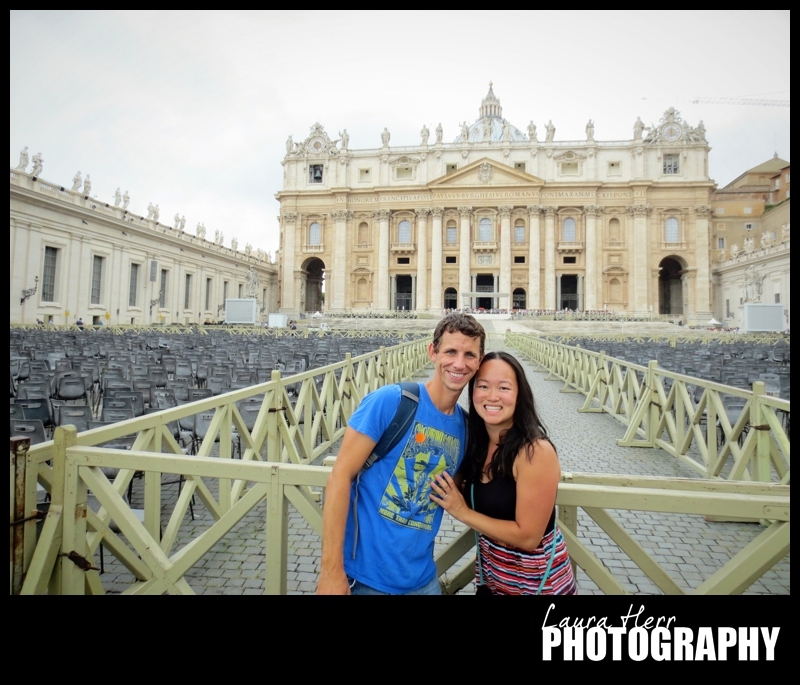 When we finished up at the museum, we walked over to St. Peter’s Basillica. We were excited to check it out but then realized that the security line which wrapped a few times around the outside court was probably a much longer wait than we were willing to do. So we said farewell, and actually came up with plans to visit it the next morning instead.